Pipelines Inc. is a waterworks supply distribution company headquartered in East Liverpool, OH. Whether your needs are emergency and/or project based or as simple inventory re-stocking, Pipelines thrives in customer service. Our six “well stocked” locations throughout Ohio and Pennsylvania allow us to deliver today, what others might not be able to deliver until tomorrow. Pipeline’s service combined with our representation of the industry’s finest vendors, will exceed your expectations, every time you call! Our company was founded in 1991 and has been growing ever since. The business spread mainly through word of mouth, and as more satisfied customers shared their stories with others, additional branches were added throughout the area. Now, we have six locations and a staff of 65 to serve you. Pipelines, Inc. is a complete waterworks distribution company, which maintains a total of six branches across Ohio and Pennsylvania. We take pride in providing competitive product pricing and outstanding customer service, while maintaining stock levels that allow us to deliver today what others might not be able to deliver until tomorrow. Our project quotations are complete and conform to the project specifications, and allows us to assist in customer plans from start to finish. Our customers include contractors and municipalities, as well as, convenient counter sales, also open to the general public. However, the core of our business is our prompt and efficient delivery service, that is always expedited to accommodate any customer need.Pipelines, Inc. is a complete waterworks distribution company, which maintains a total of six branches across Ohio and Pennsylvania. We take pride in providing competitive product pricing and outstanding customer service, while maintaining stock levels that allow us to deliver today what others might not be able to deliver until tomorrow. Our project quotations are complete and conform to the project specifications, and allows us to assist in customer plans from start to finish. Our customers include contractors and municipalities, as well as, convenient counter sales, also open to the general public. However, the core of our business is our prompt and efficient delivery service, that is always expediated to accommodate any customer need. Pipelines, Inc. was started by William “Tag” Lewis and Michael Pusateri in 1991. The company began with one location in East Liverpool, OH and quickly expanded to a second location in Masury, Ohio in late 1990’s. After years of continued growth, four more locations were opened to service the increasing needs of our customer base. The business spread mainly through word of mouth, and as more satisfied customers shared their stories with others. Pipelines, Inc. currently maintains six locations: East Liverpool, Ohio (also corporate headquarters); Masury, Ohio; Neville Island, Pennsylvania; Freeport, Ohio; Johnstown, Pennsylvania and Mansfield, Ohio. Geographically our branches are set roughly 60 miles apart from each other to appropriately service our customer base, however we will follow customers to anywhere a project may take them. With over 9,000 SKU’s in stock across our footprint, we stock what others will have to order. 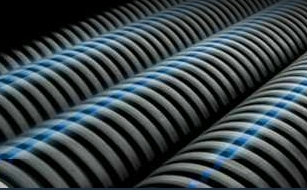 Pipelines realizes that you need your products quickly, therefore, we always have them on hand, and they are ready to go out the same day you need it. 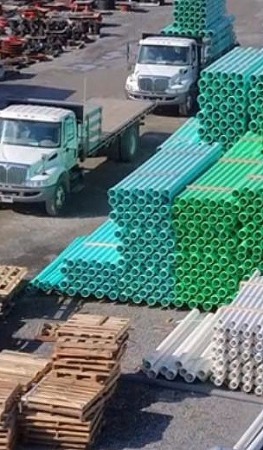 We stock a variety of water, sewer, sanitary, and storm pipe, along with fittings and accessories, as well as, valves, fire hydrants, service brass,tap saddles and geo grid/fabric. A large percentage of our robust inventory is also comprised of the numerous accessories related to these aforementioned items. So whether your need is industrial, contractor, municipal or oil field related, Pipelines will have you covered. Our locations are supported by over 60 hard-working and detail-oriented individuals.Leave the worrying and stress to us while you focus on the details and workings of your business and customers.Having a dedicated staff is what makes our customers happy and continue to use our services. Our staff is not only very experienced, but also passionate about what they do and servicing our customers.We will also gladly convert your specs into a parts list, and work with you throughout the process.